It’s been a busy month on my Frugal Life blog for MSN. We’ve been coming up with all kinds of ideas on how to save money by eating the wild food that’s coming into season now, to how to enjoy yourself in May with affordable days out that won’t break the bank. 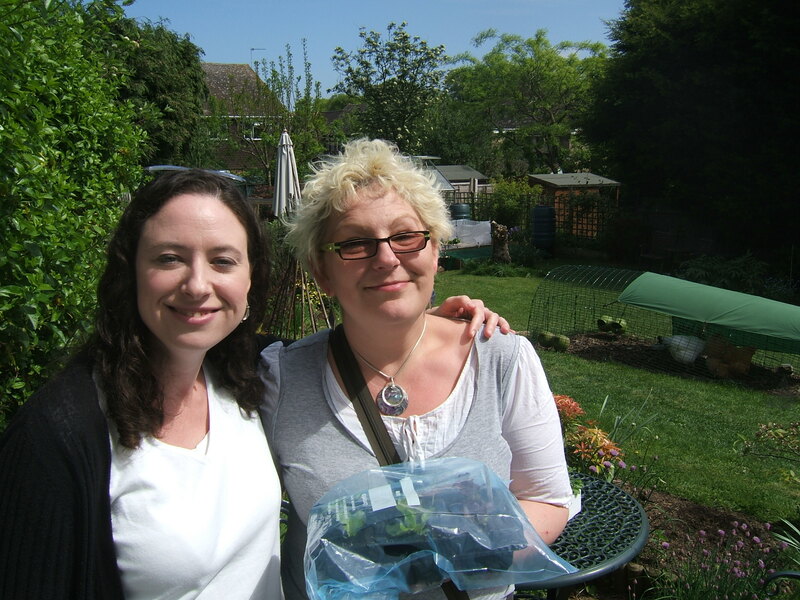 But I also wanted to tell you about a very special lady I met back in March at the UK Aware Sustainable Living Show at Olympia – Tracey Smith. She was the chairwoman on our panel ‘a beginner’s guide to green living’ and what an amazing lady she is. Tracey is a green living campaigner and and a downshifting expert. She writes magazine columns and broadcasts on the subject but – more importantly – also lives, breathes and practises it herself. A few days ago I had the pleasure of spending a few hours in her company when she came to visit me on her tour as part of International Downshifting Week. It’s an annual campaign that she is spearheading to try to get us all to cut back on our working hours and spend more time with our families and enjoying life. I think it’s a great idea. We all spend far too much time chasing money and stressing about things when life can often be frighteningly short, and sometimes we don’t realise this until it’s too late. Tracey has been busy taking her campaign on the road and visiting many other people around the UK, from Cornwall to Scotland, to Kent and even the wilds of Essex (well, Billericay where I live! ), who have taken the big step of spending less time working 24/7 and trying to claw back their lives for many different reasons. We had a great chat and it was fantastic to meet a likeminded person! A lovely part of her tour was that she brought a gift from each person she visited which was then passed on to the next. We received a beautiful mange tout plant from her previous host and likewise passed on some lettuce plants for her next one. Hope they liked them! To find out more about Tracey’s downshifting campaign, click here. Also check out her fab book The Book of Rubbish Ideas if you can. Have a great May! This entry was posted in Environment, Essex, Green living, Moneysaving tips, Speaking engagements, Uncategorized and tagged environment, green living, International Downshifting Week, Tracey Smith. Bookmark the permalink.